Filled with chocolate chips, apricots, and toasted pistachios, these cookies are just right with a glass of cold milk. I have another version of Chocolate chip cookies, also very unique, with Flax, Chia and Hemp Seeds, for recipe visit here. And the surprise -)) Recently, I received an amazing song about the Chocolate chip cookies from Notebook Noise. Preheat the oven to 350 degrees. Line a baking sheet with parchment paper or a silicone liner. 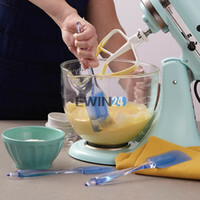 Combine the butter and sugar in the bowl of a stand mixer or hand-held electric mixer; beat on medium speed until smooth. Stop to scrape down the sides of the bowl. Add the eggs one at a time, beating on low speed to incorporate between additions, then add the vanilla extract. Beat on low speed until smooth. Stop to scrape down the bowl. Whisk together the flour, cocoa powder, baking soda, and salt, gradually add to the bowl, beating on low speed until well incorporated. Stir in the chocolate chips, white chocolate chips, then 1 cup of the pistachios and the dried apricots. Drop heaping tablespoons of the dough, spacing them 1 1/2 inches apart, onto the prepared baking sheet. Sprinkle some of the remaining pistachios on the top of each cookie. Bake for 10-12 minutes or until the cookies are just set but still soft to the touch. Cool completely before serving or storing. Repeat to use all of the dough. These cookies sound like they are packed FULL of yummy flavors! Amazing looking cookies. I love pistachios. I’m nominating you for the Versatile Blogger’s Award because I’m a fan of your site and I wanted to share it with my readers. I enjoyed listening to the song while I read this post. I am currently dancing in my chair as I type this. These are absolutely gorgeous. Delicious and stunning as always!